As a dish originally invented by English settlers in the American colonies to substitute suet pudding -- a national favorite -- cobbler has long been a comfort food. 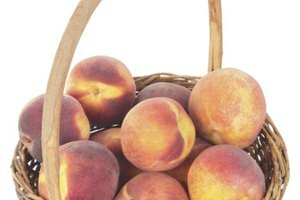 There a number of ways to bake cobbler and numerous varieties of fruit to use, but using a cake mix, peaches and just a few additional ingredients can result in a tasty peach cobbler with minimal effort. 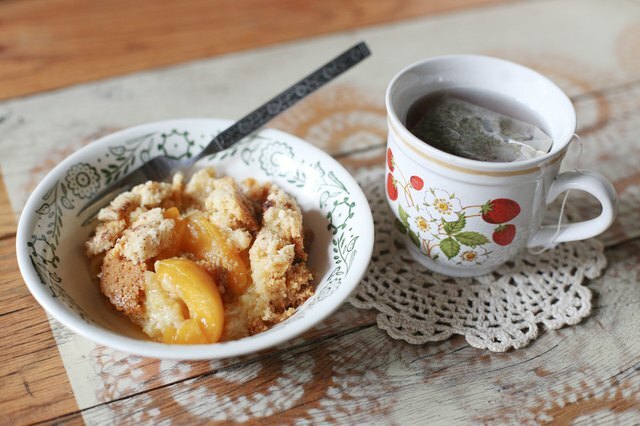 Depending on whether you prefer more breading or more fruit to your cobbler, you'll want 3 to 4 cups of sliced peaches for a cobbler using a single cake mix. Peel, pit and slice fresh peaches to use for a cobbler lower in sugar. 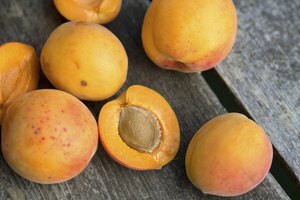 If you prefer a sweeter, syrupy cobbler, either use peach pie filling or make your own syrup by using 2 parts sugar to 1 part water. Heat the mixture on low heat, stirring constantly, until a thick syrup forms, then mix it with the desired amount of peaches. 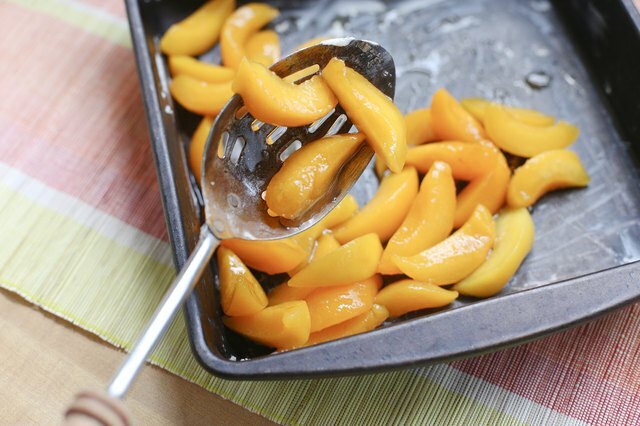 Use a 9-by-13 baking dish for a baked peach cobbler. 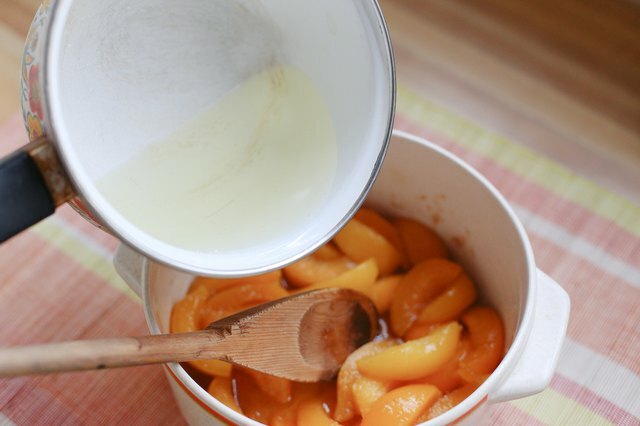 Place the peaches in the baking dish first, sprinkle on any desired spices for extra flavoring such as cinnamon or nutmeg, then add a yellow cake mix evenly over the fruit. Slice one stick of butter over the cobbler. The cobbler should bake at 375 degrees Fahrenheit for 45 minutes to be fully cooked. Check the peach cobbler at the 35 and 40 minute marks to insure it is baked to your preference and use caution when removing hot dishes from an oven. 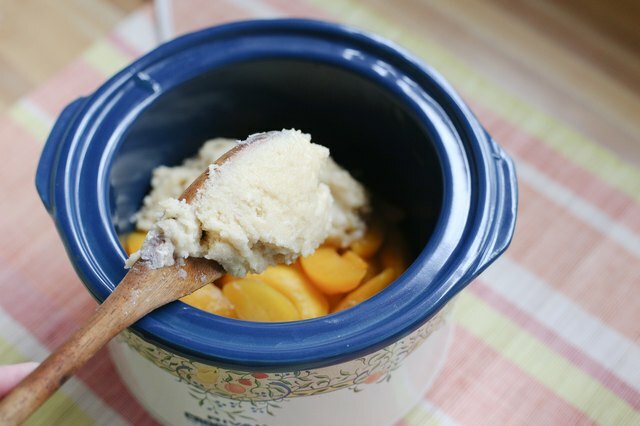 A "make it and leave it" option for cake-mix peach cobbler is to use a slow cooker. Melt 1/2 cup of butter and mix it with a box of cake mix. Yellow mix works best for a cobbler but white will do as well. Add the peaches to the slow cooker, then sprinkle the butter and cake mix mixture on top, covering the peaches. You may add chopped nuts for extra flavor. 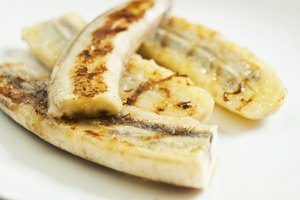 Cook on low heat for four hours or high heat for two hours before serving. 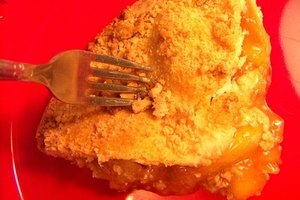 Even when camping or enjoying the outdoors, you can make an easy cobbler using cake mix, peaches and a stick of butter. 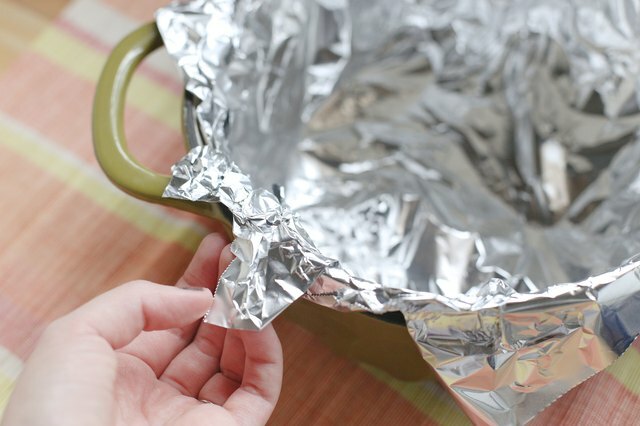 Line an outdoor Dutch oven with foil to minimize sticking. Place the peaches in the bottom of the Dutch oven. Pour the mixture on the peaches followed by sliced butter, and place the lid on the Dutch oven. Use 20 coals on top and 10 coals on the bottom for the first 25 minutes, then remove the Dutch oven from the bottom coals and cook for another 20 minutes before serving.